Classic car nut. Will always go to extra mile to look after our clients. James joined Hobbs Parker in 2009 as a Trainee Auctioneer. He also took up a new dedicated role looking after our franchised main agents and trade accounts. James has a background in the motor trade having worked for a Volvo dealership from the age of 18 and gained several motoring sales qualifications with Volvo Car UK. 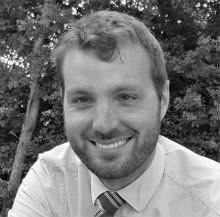 James has a strong knowledge of a broad range of vehicles which plays an integral part in his role, whether with franchised main agents or members of the general public needing advice and valuations. Now a fully fledged auctioneer, James introduced the extremely popular Classic Car Auctions to our busy auction calendar in 2013. James is passionate about cars, particularly modern classics and vintage cars, and has several of his own gathering dust! James is a regular visitor to Formula One Grand Prix and has a fountain of knowledge of 80’s music — somewhat surprising for a man of his tender age. Wondering what your car or van might be worth or how to sell your vehicle?